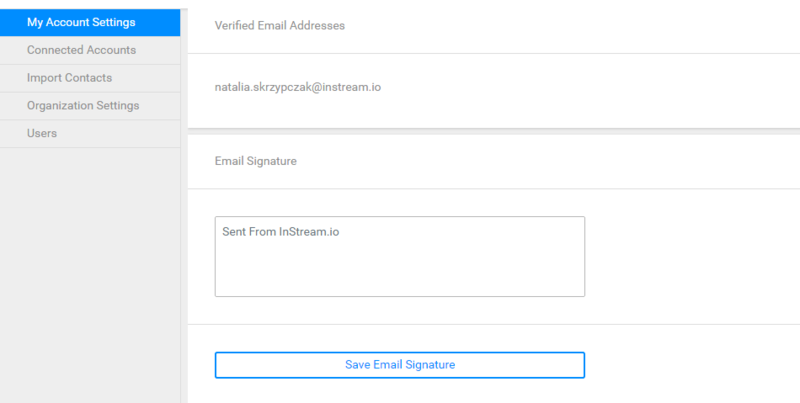 In InStream you can easily add your email signature. Open “My Account Settings” tab and scroll it down. Next, add your new email signature and click on the “Save Email Signature” button. Read also how to integrate your account with your mailbox.